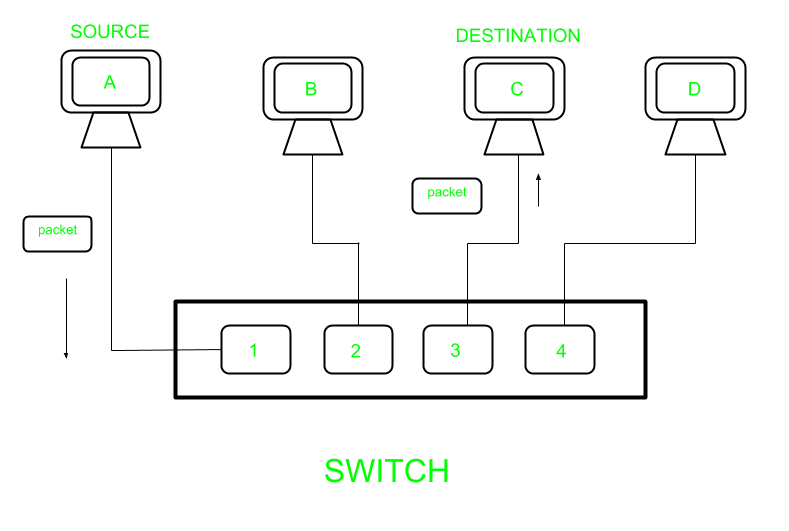 A switch is a device which sends a data packet in a local network. What is advantage over hub? 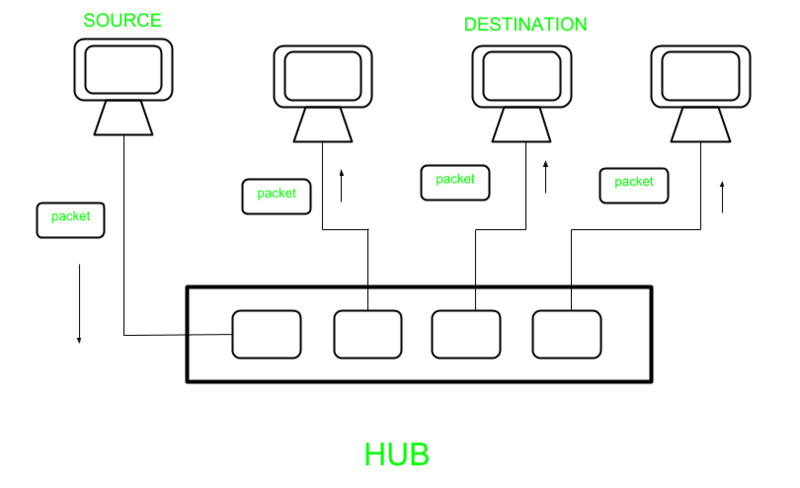 A hub floods the network with the packet and only destination system receives that packet while others just drop due to which the traffic increases a lot. To solve this problem switch came into the picture. A switch first learns, by flooding network just like hub to fill MAC- address table, on which port a particular device is connected. After learning it sends packets to that particular host only. Layer 2 switch work on layer 2 of OSI model i.e. data link layer and sends a packet to destination port using MAC address table which stores the mac address of a device associated with that port. Layer 3 switch work on layer 3 of OSI model i.e. network layer where it route packet by using IP address, it is used widely on VLANs. 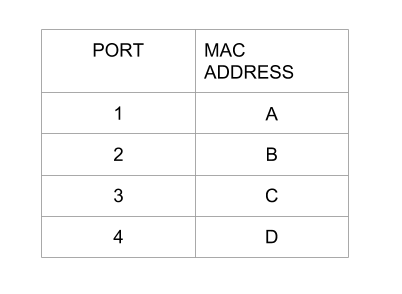 Operate on layer 2 (Data link) of OSI model. Operate on layer 3 (Network Layer) of OSI model. It has single broadcast domain It has multiple broadcast domain. Can communicate within a network only. Can communicate within or outside network.